A JamCast is when Nikolas and I mic up a drumset, a guitar, hit the record button, and GO. We cover a variety of styles right off the dome. It's a groove and a musical conversation at the same time. The Mootekkis have been gigging consistently for the past 500 years. The Photophone ejected them to us via Sonar Light via the Angelic Vampires of Ratchnon IV. The Mootekkis teleport into the Aural Sphere to talk about beer, rock, music, sweat, and the upcoming space war against the once pacifist demons of Phrentoohl Ox-Lyn! Co-host of The Beach House Tom Melesky (@boringgaijin) joins the podcast to talk about his show with singer-songwriter and The Beach House (FB) host Takashi Umemiya. Other topics include "Where's the Music" "Surveillance Capitalism, "Asian Math" and "Asian-Americans in America and Asia". Tokyo Psychedelika is here for you. Welcome to the future of your past. It's been waiting here for you. We are JamCast 11, with Matt Bigelow on Drums, and Nikolas Faraguna on Guitar. We record a jam, then upload it. No rehearsal, no preparation, Total and Complete Ear Groove Spinning in the Fourth Dimension. BlipPilot (Official YouTube) is a music creator and interviewer, and he joins the podcast to talk about music in many of its forms. DABWM 15 is here! Scathing and helpful advice about how to navigate your Tokyo Adventure. Use that tech, bruh! Max von Schuler-Kobayashi and I sit down and float around the ups and downs of Japan in April, 2018. Topics include Japan's exclusion to the Korean Summit, Whether or not the North Has Nukes, and MORE! Ponzi and Shawn join the podcast to talk about Koenji. Koenji, the birthplace of Tokyo punk, is now surging with alternative restaurants, and a burgeoning craft beer scene. Koenji, it's the place to be. If you aren't in Koenji, then it's "too bad for you!" Ponzi has recently opened a restaurant called Smoking Fish in Koenji and Shawn does beer tours in Koenji. Strap in for a fantastic way to celebrate 100 episodes! I haven't done 100 of anything in EONS! JamCast 9 -- Nikolas and I mic up a drumset, his guitar, hit the record button, and record music. It's a new approach to publishing music. Woop woop! Genres Covered: Smooth groove, sludge rock, solo, experimental, folk, roots rock. 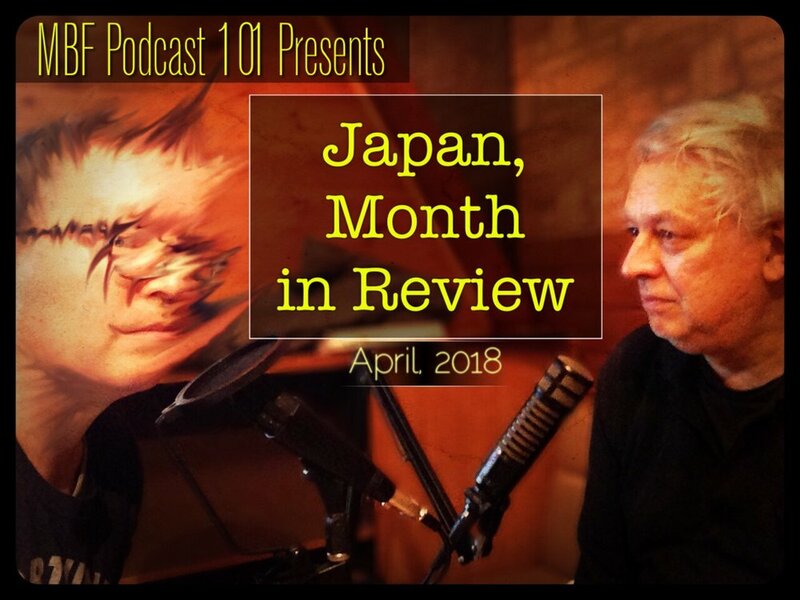 Author and blogger Max von Schuler joins the podcast to summarize events in Japan for March, 2018. Topics include: Japan Immigration, Japanese Cults, Being a Spy, and Cherry Blossom Festivals. Social Credit is being rolled out. And while on paper it may seem like a really good idea, your Social Credit Monitors are not who you think they are. This is an honest exploration of Social Credit Systems, as well as a compare and contrast spoken essay between 2 very different types of Social Credit Systems -- The West, and That of China. I research tech, and I present my research in this episode. Please remember to like, share and subscribe to the podcast. Genres covered: Listen and find out, Freeloader!